Unity Fiji provisional candidate Jope Kavoa. A fisheries expert who retired from Government service hopes to bring his expertise to help develop the industry if he is elected to Parliament. Jope Kavoa, 60, was unveiled as a Unity Fiji provisional candidate for next month’s General Election. 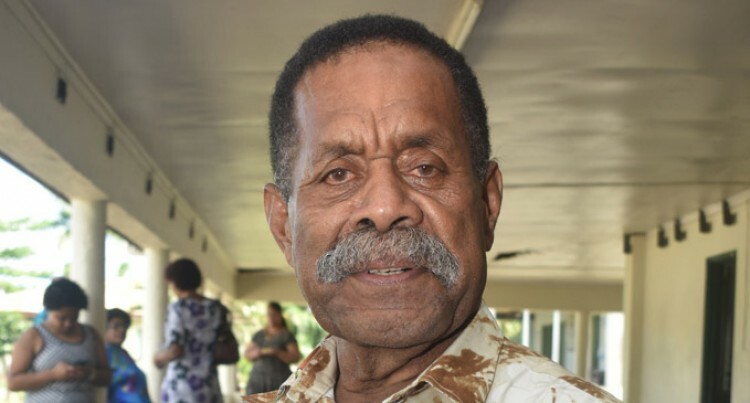 “I worked for 40 years in the fisheries industry and I gained a lot of knowledge and understanding of the most treasured possession of the iTaukei, which is the land and the sea,” he said. “The development of the fisheries industry is similar to the land development. We need development in the industry so we can get many returns. “The fisheries industry needs development. The Tavualevu villager from Tavua lives in Lautoka and was educated at Ratu Kadavulevu School and the University of the South Pacific. Mr Kavoa’s dream of working and contributing to the development of the fisheries industry in the country led him to pursue for overseas studies. He studied at Maritime College, Queensland TAFE (School of Management). Mr Kavoa lists his hobbies as fishing and watching rugby.